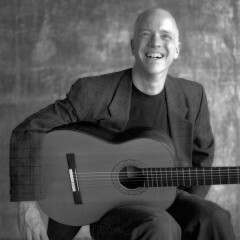 Brian Head, assistant dean for curriculum, associate professor of practice, and director of undergraduate music theory, classical guitar and composition at USC Thornton School of Music, was voted Outstanding Thornton School Graduate of 1991. Head was chosen in 1999 as the USC Gamma Sigma Alpha Professor of the Year. He is sought after as an ensemble guitarist performing in numerous chamber and symphonic groups including XTET, Ten-String Music and the New World Symphony. His compositions are published by Alfred Music and Guitar Solo Publications, and have been recorded on Delos, Denon, Digital Revolution, GSP Recordings and Massax Productions. His music has been performed throughout the U.S. in venues including Merkin Hall in New York, the Ambassador Auditorium in Los Angeles and the Phillips Collection in Washington, DC, as well as abroad in Tokyo, Madrid, Sao Paulo, and Dubai. He currently teaches on the faculty of his alma mater, the USC Thornton School of Music.